We guarantee and take great pride in all of our projects, staying "on time and on budget"! Commercial and High End Residential landscape installation. Our team of installers will get the job done right, the first time! 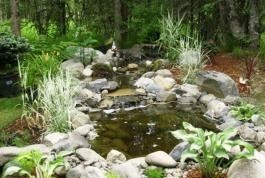 Custom Ponds and Waterfalls - Let us help make your dream a reality! Commercial and High End Residential grounds maintenance. 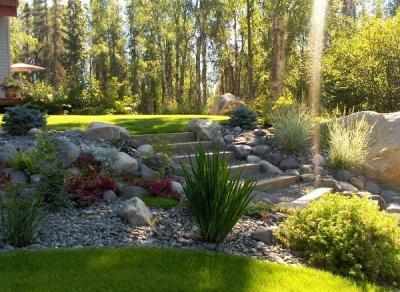 Owner Steve Booth has over 40 years of experience designing, building, and maintaining beautiful landscapes. We have a variety of trees and shrubs on hand, contact us today! Being a Landscape Contractor . . .
is more than just a sign on a truck, we know the mechanics of the process. 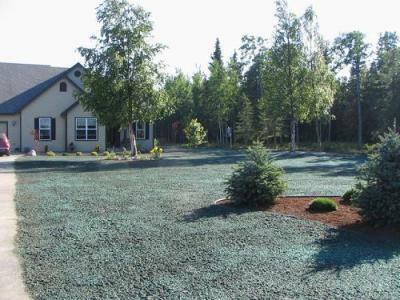 We know the soils in the area and the fertilizers and soil conditioners to make trees, shrubs and lawns grow in northern climates. We also know what will grow here and what won't, and we always use the best quality plant materials we can. We will save you time and money by doing the project right the first time. If we maintain the project after completion it will stay looking great as was the intent. No job is worth doing if it will not be maintained. "Lawn and landscape professionals are the protectors and nurturers of all things green, making their daily jobs vital to everyone who enjoys and treasures the outdoors. 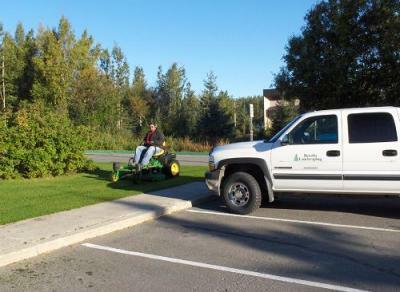 By the very nature of their daily jobs of installing plants, maintaining turf and tending to every aspect of the green spaces that are all around us, lawn care and Landscape Professionals are the true stewards of the environment".